Made from an entirely new thicker metal! 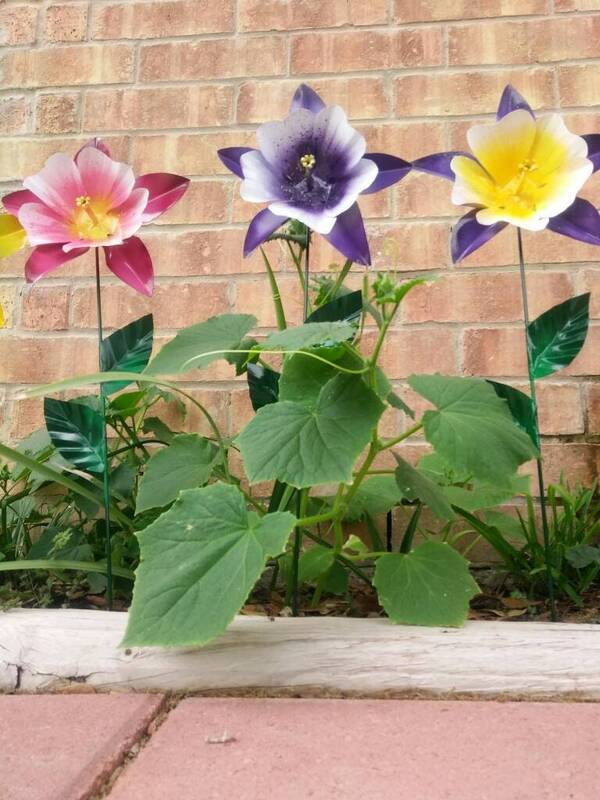 Hand cut, hand molded, and handpainted into a beautiful Columbine flower design! A perfect addition to the garden! The flower is about 8 inches in diameter and almost 22" tall! Mounted on a stainless steal garden stake. Painted and sealed to withstand the heat, rain, and snow! These flowers are one of a kind!